The CBAC departments of Leadership Development and Clergy Formation and Wellness invite you to our biannual 24 hour event for all CBAC pastors – Embrace the Call at Crandall University, Moncton NB on June 11 & 12. 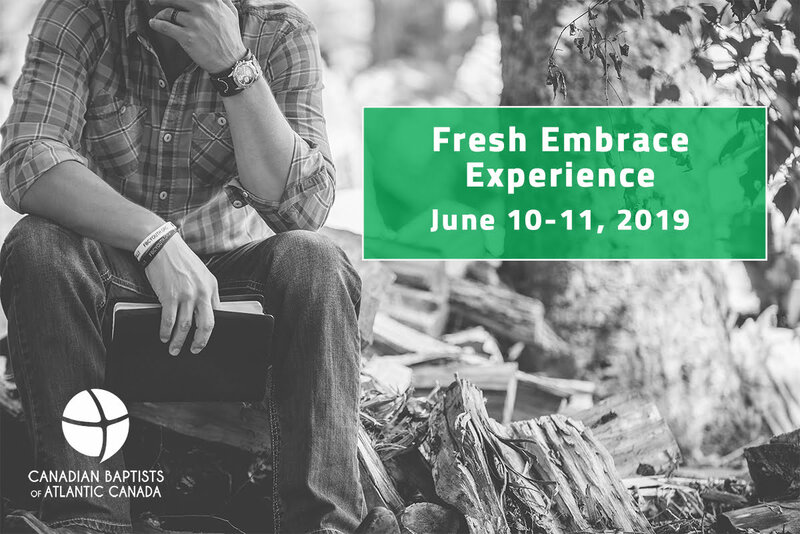 This year we will explore the theme of Being Fresh, Living Fresh and Leading Fresh in God’s Presence and Power. We will experience meaningful worship, relevant speakers and spiritual refreshment. Included will be opportunities to discover more about the LeadFresh Initiative (coming soon) and the Engage Ministry Health Plan (Best Practices). In the 24 hours together, you will be encouraged, inspire and refreshed for your journey to embrace your ministry calling with greater freshness and hope. This is designed to be an experience not ‘just a conference’. Two years ago we had a fantastic response to the theme of resilience, we had over 50 ministry leaders learning about how resilience is an important part of their ministry. This year we will refreshed in experiencing God’s Presence and hope together. For the first 75 who register early we have a special gift for you. There is a sliding scale for registration and incentives for carpooling, check out our registration page for more information at https://baptist-atlantic.ca/event/embrace-the-call. ・Retired CBAC Pastor – Free! *Embrace the Call is made possible by a generous grant from the trust of Ruth Colburne. Ruth was a great supporter of the CBAC in our efforts in the ongoing encouragement and professional development of pastors.